← Monday Question – How Was Your Weekend (And What Perfume Did You Wear)? Editor’s Note: Today I am happy to present a post by regular reader and perfume lover Johanob, who lives in South Africa. He is showing us his home turf and the many (many!) scent-related treasures to be found there. Johano is a theatre nurse and – no surprises here – loves perfume with a passion. Thank you for your huge effort and welcome to OT, Johano! When you think or hear about South Africa, the first thing that comes to mind probably is the horrid past of this beautiful country. Apartheid was the buzzword for many decades, and we mostly lost our interest in real beauty during those years. People were mostly in survival-mode and the various sanctions and embargos on our country left us desolate and isolated from the rest of the world. The release from prison of our national icon Nelson Mandela thankfully changed all this. A new era dawned on all of us. The rest as they say is history. All of this had an interesting effect on the luxury goods market; perfume shops in particular were boasting with inventory of great classic perfumes. These, over time, became lost and forgotten, hidden on shelves in the back of storerooms, to make way for the latest incarnations of Coty Exclamation or the very popular Lentheric and Yardley brands. To say that the book Perfumes: The Guide (by Luca Turin and Tania Sanchez) changed the landscape somewhat is a complete understatement! I personally have always been a perfumista of sorts, but when I read THE GUIDE, it was the first time I read- or even heard about! !- great names such as Diptyque and Serge Lutens. A new type of Perfumista emerged within me. My quest – along with a couple of other South African friends – started, to find all these forgotten beauties. To sniff them all and to explore the history and stories behind these wonderful perfumes has been an experience of great joy. The same can be said for many other South African perfumistas, who emerged during the dawn of this new day! And we are continuing to enjoy this journey. The fact that we have the worldwide web as a resource readily available, made this journey much easier than it would have been. I could search Acqua di Parma on Google and be flooded with everything from reviews down to “where to buy” information. The rabbit hole was officially opened. After a year of pursuing vintage fragrances, I was stunned to discover the extent of niche brands available in South Africa. Brands like Serge Lutens or Frederic Malle felt out of reach for so long, this discovery was extremely exciting! This brings us to the purpose of this essay: to help guide my fellow South African Perfumistas, as well as the many tourists that visit my country each year, towards the best places and websites for perfume shopping in South Africa.We will travel to Johannesburg and Cape Town. There are a couple of websites that will be mentioned as well with direct links when available! Let’s go discover what South Africa has to offer the discerning Perfumista! The shop currently has 4 branches across Johannesburg, with the two main ones in Sandton City Shopping centre and Hyde Park Corner. Access is easy via most motorways and the Gautrain service is a very viable option stopping at Sandton City with a bus service to Hyde Park as an option as well. They sell online with fast, sometimes free, delivery. Metropolitain stocks fantastic brands such as Serge Lutens, The Different Company, Isabey, Juliette Has A Gun, Les Liquides Imaginaires, Bruno Acampora, Escentric Molecules, Dear Rose and Les Parfums de Rosine. They also stock one-of-a-kind fragrances such as Boudicca Wode and Kinski. Their make-up and skincare sections host brands as divergent as Jack Black and Cinq Mondes. 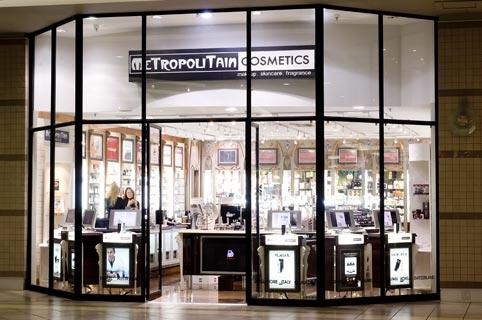 Metropolitain has seasonal sales and excellent promotions throughout the year. The sales staff are all extremely well-informed, trained in-house with regards to all the brands and especially with in perfumes.Their wide knowledge remains incomparable to other perfumeries. They are also extremely generous with samples. HIGHLY recommended! Tucked away in a part of old Johannesburg in the Oriental Plaza Mall, this little shop is worth a visit. They are stocking interesting brands at really good prices. The brands on offer include Serge Lutens (a selection), Amouage, Dior Priveè Collection, Acqua di Parma(selection), Creed, Montale/Mancera and most other department store perfumes, but at much better prices. I’ve also found some vintage gems like YSL M7 here. The website does not always correspond to what they have in-store, be sure to use the call-centre for additional info. Available 24/7 for enquiries as well. As they are part of the Muslim Community, Rio is closed for business on Muslim Holidays and during prayers on Fridays between 12:00 and 14:00. Please also note their shop’s name at the mall is GIFTS FOR YOU AND YOURS. Situated in Hyde Park Corner, this über-stylish shop is one of my favorite places for a leisurely browse. They specialise in all sorts of luxury goods from Fornasetti porcelain to Lalique crystal and Hermès crockery. Perfume brands include the fantastic Byredo, Acqua di Parma, Hotel Costes, Etro, Atelier Cologne (selection). They don’t do online sales, but the website is worth a visit to see what else they have. The owners do not keep regular hours, sometimes you do end up in front of a closed door, especially over the weekend (when hours are 10:00 to 15:00 officially). It’s wise therefore to confirm with a phone call if they are indeed open. Owner Caron Koonin is probably the most stylish woman in Johannesburg. Her shop in Sandton City speaks of this quite clearly. Perfume brands Miller Harris, Czech and Speake, Geo F.Trumper are featured here. This is an excellent place for shopping exquisite linens and Prestat chocolates too. Khanyi Dlhomo opened the doors to this ultimate luxury shopping experience in Hyde Park in 2013. Haute Couture in fashion and beauty is the trademark of her store. It’s also a great example of people-empowerment in South Africa: they stock local arts and crafters’ works. The highlights of perfume shopping here starts with the complete Frederic Malle collection as well as Diptyque Paris, Tom Ford Private Blends, Armani Priveè, Comme de Garçons and Hermès. Well worth the visit, they have an excellent coffee shop in-store as well. One of only two stores to sell the Marni Doll sets. The well-known local chainstore Edgars Sandton City boasts the best example of all-inclusive perfume shopping. It’s one of a handful of shops to have an in-store Chanel Beauty boutique stocking the lovely Exclusifs range. Other highlights include an excellent Guerlain counter, Dior Priveè, Hermès, Bvlgari Gems collection, Tom Ford, Sisley and a dedicated Kiehl’s counter.They also do special orders for lesser known perfumes from Guerlain et al. Another well-known chainstore the Sandton City store is well stocked with perfumes. 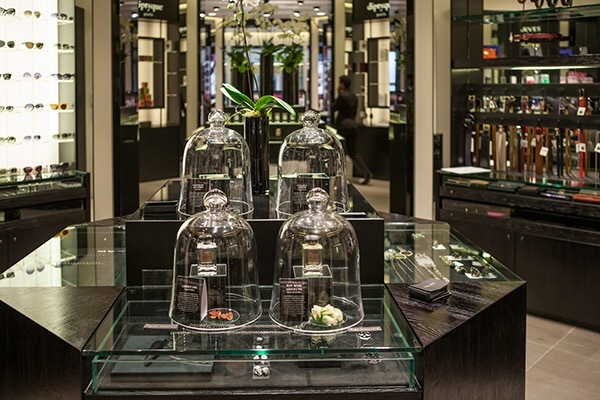 They have an instore Jo Malone counter with everything the brand has to offer. Also of note: The Hugo Boss The Boss collection, Ermenegildo Zegna Essences collection, Tom Ford Private Blends and most Guerlain and Hermès perfumes. Also featuring Crabtree&Evelyn, Thierry Mugler, Sisley and the usual other department store finds. Stuttafords recently introduced some Dior Classics like Diorella, Diorissimo and Diorama to their line-up; well worth a sniff should you want to compare to the vintage stuff. It is the only other store that sells the Marni Doll sets. Fabiani is part of The Foshini Group of retailers. They tailor more to the upmarket gentleman with superior cut suits and fantastic dress shirts. Worth to mention here as they also stock Comme de Garçons Perfume, specifically the new Pharrell Williams Girl and the Blue series one of only two stores I know of who does (the other being Luminance). Primarily focusing on vintage designer clothing, this peculiar little store holds many treasures. It’s the first store where I bought Santa Maria Novella fragrances, and as far as I know, the only store in Johannesburg who does. Worth checking out, plus the added bonus of vintage clothing shopping and excellent coffee shops in the vicinity! The tagline on their website states that they are PURVEYORS OF LUXURY LOCAL LINGERIE. They are also a great source for two of South Africa’s most interesting perfume houses: Rose en Bos by Indie Botanical Perfumer Emily Pienaar and Frazer Parfums, beautiful extraits made of local, natural ingredients. The handblown glass bottles of Frazer Parfums are works of art on their own. Lingerie and Parfum? I cannot imagine a better day at the shops! With their extensive new website design and shop in Turffontein, Johannesburg, Ascot has become a staple amongst perfumistas. Regular excellent discounts and specials are advertised. Brands of note include Lancome, Chanel, Tom Ford Private Blends, Dior and Guerlain. If you need a fantastic mani/pedicure in your lunchtime, SOHO Sandton City is the place to be. They’re also the only brick-and-mortar store I found so far that sells the Bond No.9 fragrances and candles. Pricey,but how can one resist Chinatown? Situated in the quaint Constantia Village centre in Constantia, Parfums de France surely delivers only the finest from French perfumes. Brands you will find here range from Annick Goutal, Guerlain, Hermès and Robert Piguet, Comme de Garçons, Dior and Chanel. Some vintage treasures are also to be found in-store. Their website is a fantastic alternative with fast and efficient service. The only store where I could find Habanita! Prices are usually around 40% below retail,which surely makes them worth a visit. Following the successful recipe of their flagship apothecary-style store in Italy, Santa Maria Novella introduced itself to South Africans in 2013. Selling their wonderfully famous colognes, soaps and beauty products, SMN has become a cult favorite in Cape Town already. Well worth the visit, SMN South Africa sits tucked neatly in the revamped De Waterkant Quarter, another part of South Africa’s renaissance projects. 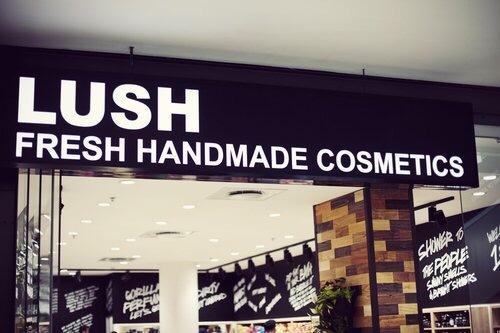 Cape Town has the privilege to have three Lush stores! Plans are apparently in place for a Johannesburg shop soon. In the meantime, Lush South Africa has a mail-order service that is fast and efficient as well. Everything a Lush addict could want or need can of course be found here. They also stock some limited edition annuals such as Rose Jam and Twilight shower gel. Not to mention ALL the perfumes we love. The flagship store is located at the V&A Waterfront, the other two in Canal Walk and Cavendish Square. Situated in the wonderful V&A Waterfront complex, Gerard’s little store is a treasure trove of quirky French Perfumery. Brands include Parfums Volnay, Etat Libre d’Orange, Jardins d’Ecrivains and Au Pays de la Fleur d’Oranger. Be ready to be taken on an olfactory rollercoaster ride with Gerard when he is present in the store! Rose en Bos: Indie Perfumer Emily Pienaar’s fantastic range of Botanical Perfumes are already making headlines across the country. Fragrantics: a web-based retailer with hard-to-find brands such as Demeter, Bond No.9, Guerlain and Montale. Magnifiscents: Hard to find fragrances such as Creed/Cartier/Amouage/Robert Piguet feature here.Special warehouse visits can also be arranged with the owner. Frazer Parfums: Tammy Frazer’s adventures in olfaction. She creates collections and master-blends, beautifully packaged in handblown glass vessels or treestumps and porcelain cups for the solids. Tammy also offers a bespoke perfumery service,which is so worth the money if it is something you can afford. I sincerely hope this little list helps my fellow perfumistas to find much more joy and fragrant discoveries! Disclaimer: None of the images used are my own, acknowledgement of copyright on each picture where applicable. I am not in any way affiliated to any of the stores or people mentioned, just a regular, happy customer at most of them. This entry was posted in Shopping, Travels and tagged erfume, Fragrance, Johannesburg, Perfume Shopping Around The World, perfumeries in johannesburg, shopping, shopping guide, South Africa. Bookmark the permalink. 23 Responses to Perfume Shopping In South Africa: A Guide To Not-So-Hidden Beauty! I’m a personal friend of the author and I absolutely loved the article he has written. Johano, this is a great shopping guide for perfumistas and noveau perfumistas! 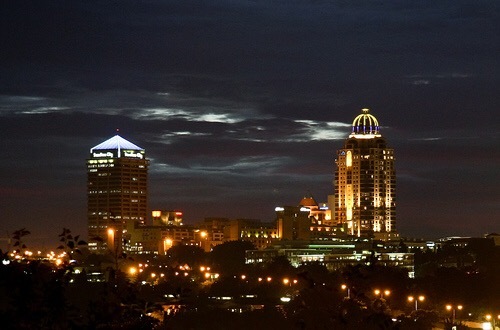 Thank you for writing it – I indeed now want to visit Johannesburg to shop at Luminance! Hi Melinda!Thank you for reading it,and the kind compliments!Luminance is a MUST-VISIT,for any perfumista! Hi Johano! So nice to see you here and to read this wonderful article. You live in a beautiful country and I look forward to reading more about your perfume adventures. Hi Sandra,well I’m in great company,with all of the guys writing here,for Olfactoria’s Travels!Thank you for reading! What a surprise to see you here! This is a great post for anyone in South Africa looking to shop for perfume. Lots of choices available and I’m sure you probably listed some that even the locals weren’t aware of. Hi Poodle!Nice to see you here too!I tried to be all-inclusive with the shopping destinations I listed.Thanks very much for reading! Welcome to OT and thank you for such a great post. I was fascinated to read how your country’s past has affected your access to perfume. You seem to be doing a fab job at catching up though and this guide will be a big help to others. 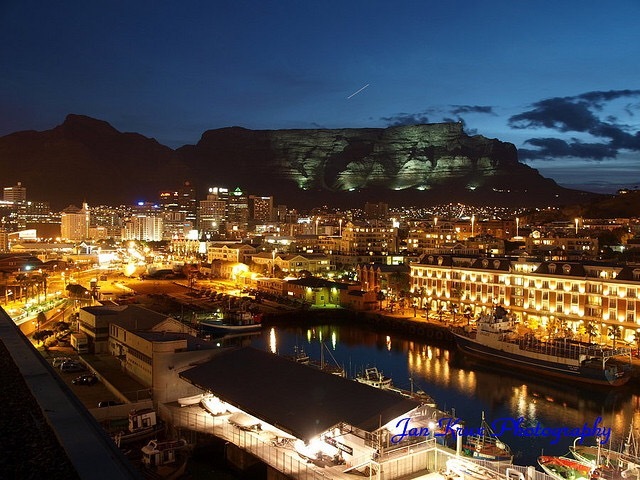 I hope to visit Cape Town one day and will certainly refer back to your list if I do. Hi Tara,thank you for the kind words!I love reading your posts always as well!Glad you enjoyed my “little” effort!Haha. What a fantastically comprehensive report on South Africa’s fragrant retail options. I am never likely to visit your country, but my brother goes now and then for work and loves looking for perfume when he visits. He even picked up a scent by an indigenous brand the last time he was there but I can’t remember the name. It wasn’t Rose en Bos. I will definitely pass this on to him, also to another friend holidaying in SA in July, now I think of it. Thanks for this really great addition to the world perfume shopping database! Hi Vanessa,it was a pleasure doing this. For ALL my perfumed friends,in South Africa and abroad!Really glad if this article points people shopping,in the right direction!Should you need any more info,please feel free to email me as well!Thank you for reading! Very interesting and informative article. I have cousins in Sandton and have always wondered about niche stores. Now I know! Hopefully I will visit South Africa one day and pay a call to some of these lovely places. Hi Annette,I really hope you get the chance to visit South Africa,yes.People mostly leave here with good memories.And hopefully some nice perfumes as well!Lol.Thank you very much for reading! What an absolutely wonderful article. I loved hearing how your country’s past has influenced the perfumistas of today. While I won’t be visiting your country anytime soon (though I’d love to), this is a great guide for anyone shopping there. Can’t wait to read your future posts. I’m sure they’ll be just as entertaining and informative. Hi Kandice!I’m glad you enjoyed the read!And yes,we are now “free” to enjoy perfumes as well! Wowzer, Johano! Not counting the mega stores like Barneys, Bergdorfs, Saks and the dearly departed Bendel’s, I don’t even think I’ve visited as many niche perfume shoppes in New York as compared with the number you listed for Johannesburg alone! Thanks for sharing! Hallo Hajusuuri!I was kinda amazed myself,when I realized the wealth of good perfume shops we actually have in South Africa!We tend to complain about the lack of Niche perfumes in SA,but actually there’s A LOT to enjoy. I can’t agree more with you on SA opening up to the world, it is about time wouldn’t you say? Good morning africanperfumista!Thank you for reading,and I’m glad you enjoyed it!a Selection of Annick Goutal can be found at Parfums de France(www.myperfumeshop.co.za).The web-retailer http://www.takealot.com also had some a while back,I got Musc Nomade through them.As for writing something again:Lol!Time is the big issue.Maybe if Birgit has reeeeally nothing else to post,she might ask me to do a little essay again!Lol!